Being one of the most interesting as well as surprising releases, the UN40J5500 is a great device boasting with low price and a heap of neat features that already became a part of Samsung’s standard. Designed with advanced technology that supports superb picture quality with Full HD resolution, this TV is able to deliver extremely vibrant colors, great contrast and amazing amount of detail. The smart TV functionality works great with the quad-core processor. 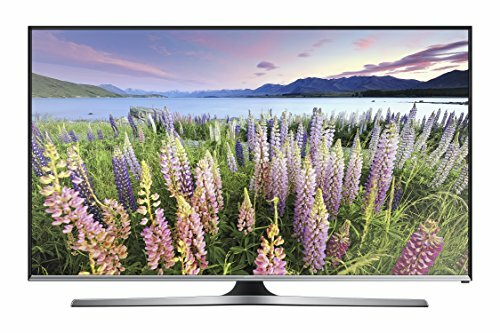 Anyone looking for an amazing Smart TV with all these great features and functions would definitely be pleased with this model from Samsung. The UN40J5500 deserves a lot of praise due to lightning fast performance and responsiveness. The TV is really a beast in terms of specs, and with the Full HD resolution paired with Wide Color Enhancer technology, Micro Dimming and Clear Motion Rate 60, it truly offers the user a great viewing experience. Whether you are looking for a TV to integrate into your existing home entertainment system, or if you are planning to play games, this device will deliver a great and enjoyable experience. The Micro Dimming Pro technology is able to enhance contrast and colors, making everything appear livelier and more vibrant. When it comes to the clarity of movement, the Motion Rate 60 technology ensures that you do not miss a single thing happening on the screen. The picture quality is something that makes the UN40J5500 stand out from the rest of the TVs in its class. Thanks to the edge lighting and a really strong contrast you will get great quality with minimum setting up. Of course, if you are a perfectionist, you will be able to tinker with the options in order to achieve the quality you prefer. The 60 Hz refresh rate might not seem sufficient for gaming purposes, but the Game Mode turns the performance up a notch. The mode has its own separate settings which turn the TV into a great device to enjoy playing games on. The downside is poor viewing angles that make the picture start to deteriorate at a 20 degree angle. Provided that you are sitting several feet away from the TV, you shouldn’t notice this flaw. Lightning fast processing speeds ensure that all apps run smoothly. Heavy applications, interface responsiveness and multitasking are no issue thanks to the quad-core processor featured in the UN40J5500. The interface itself is really intuitive and simple. Navigating through it is really easy, and you should find your favorite programs, apps and videos without hassle. Samsung has made sure that the TV can be connected to your other devices in order to get the most out of your content. Simply connect the TV to your Smartphone, computer or tablet and enjoy all the content you have stored on those devices without the trouble of transferring the content between them. The inter-connected experience is supported with up to 12 HDMI-CES compatible devices.